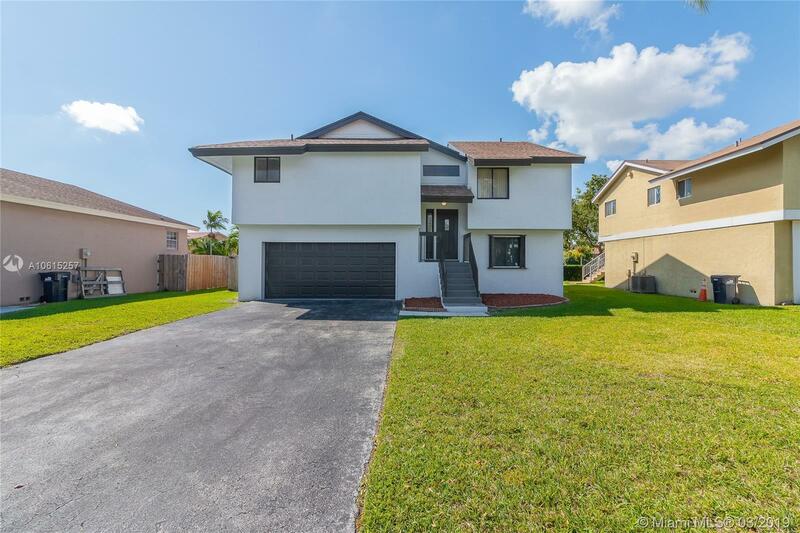 DON'T MISS THIS EXCELLENT OPPORTUNITY AT THIS LOVELY AND HUGE 5 BED 3 BATH SINGLE FAMILY HOME IN THE HEART OF CUTLER BAY, LOCATED ON A GATED COMMUNITY, THIS AMAZING PROPERTY FEATURES A BRAND NEW ROOF AND KITCHEN WITH QUARTZ COUNTER TOPS, STAINLESS STEEL APPLIANCES, TILED THROUGHOUT THE PROPERTY AND MORE. IDEAL FOR A BIG FAMILY SPECIALLY FOR ONE LOOKING FOR AN IN LAW QUARTERS SINCE THE HOUSE COULD BE USED AS A 3/2 WITH A 2/1 IN LAW QUARTERS. EASY TO SHOW. ASSOCIATION ALLOWS BOATS! !